Each year, the world honors the lives and remembers of the atrocities of the Holocaust, but despite being one of the most pivotal moments in world history, recent polls found that in the modern era, knowledge about the genocide is quite low. 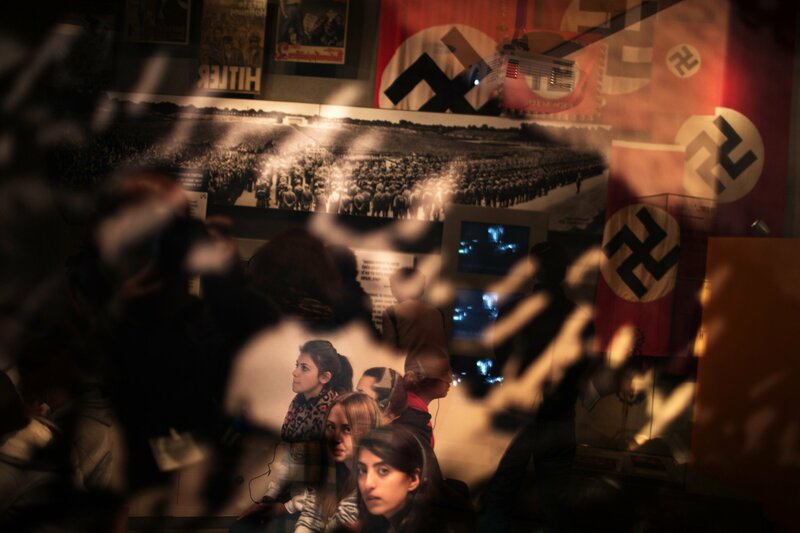 A poll conducted in April at the Conference on Jewish Material Claims Against Germany found that 22 percent of millennials had either heard of the Holocaust or were not sure if they had. Two-thirds of American millennials that were also not identified what Auschwitz was, according to The Washington Post. 8 and 34, had never heard of the Holocaust. As distance forms between the past and the present, on International Holocaust Remembrance Day, it's important To look back at the events that transpired to honor those who survived, remember those who were lost and learn from the mistakes of the past. After World War I devastated Europe, Many people were struggling economically and anti-Semitic sentiments were fueled by comments that Jewish people caused Germany to lose the war, according to Yad Vashem. Wounded in World War I was a soldier, Adolf Hitler joined the National Socialist Party in 1919 and was imprisoned in 1923 after a failed revolt in Munich, Germany. While in jail, Hitler wrote the infamous book Mein Kampf and after being released from custody, Hitler helped the Nazi Party grow in parliament. What started as a party with three percent of the votes cast into the largest faction of the House and Hitler became chancellor of Germany on January 30, 1933. Less than a month after Hitler took office, Weimar Republic President Paul von Hindenburg issued the Reichstag Fire Decree, which suspended constitutional protections in Germany. After Von Hindenburg died in 1934, Hitler became president of Germany, which he abolished about two weeks later, making him the absolute dictator. Shortly after taking power, the Nazi regime, also known as the Third Reich, established concentration camps. Among those imprisoned were Jews, political opponents, people who were homosexual, Jehovah's Witnesses and people classified as "dangerous," according to the United States Holocaust Memorial Museum (USHMM). Dachau was the first concentration camp created and over 188,000 people were incarcerated at the camp between the years of 1933 and 1945. Some of the most well-known concentration camps were Bergen-Belsen, where Anne Frank died, Auschwitz-Birkenau, one of the largest, and Ravensbrück, an all-female camp where many women were used as medical "rabbits." However, the Nazi regime built over 600 camps throughout Europe to aid in the extermination of European Jews and other undesirables. Those who weren't killed immediately after arriving at the camp, had their possessions taken from them, their heads shaved, were issued identical and often ill-fitted clothing and tattooed with a number on their forearm.